[In the Company of Angels]! 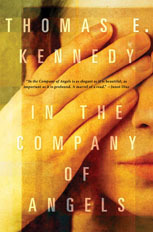 With generous and elegant prose, Kennedy takes us from the darkest, most violent regions of our collective behavior to our most exalted: our enduring hope for something higher, our need to forgive and be forgiven, our human hunger to love and be loved. 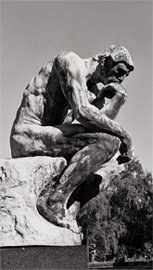 This is a deeply stirring novel suffused with intelligence, grace, and that rarest of qualities – written or otherwise – wisdom." O. Henry Award, two Pushcart Prizes, the European Competition, the Frank Expatriate Writing Award, and other prizes, and were cited many times for excellence in the Pushcart Prize and Best American Short Stories and Best American Essays volumes. 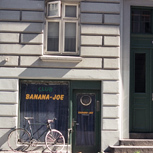 As a result, the New York agent Nat Sobel of Sobel-Weber Associates read the AWP presentation which novelist and professor Duff Brenna had written about the Copenhagen Quartet and decided to try marketing them in the United States. 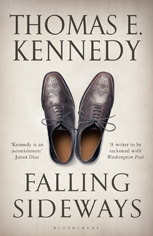 A year later, Bloomsbury Publishers offered Kennedy a lucrative two-book contract for the first two books of the Quartet and issued a press release announcing their intention to publish all four of the books and other of Kennedy’s works. 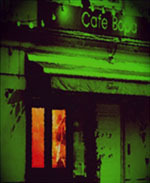 In 2012 Bloomsbury offered a contract to publish the final two novels of the Copenhagen Quartet. 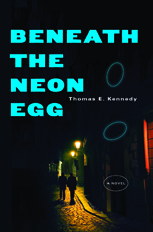 In 2010, Bloomsbury published worldwide the first volume of the Quartet – a novel about a Chilean torture victim being treated in the torture rehabilitation center of the Danish capital – under the title, In the Company of Angels, to positive critical acclaim from, among many others, the Washington Post, the New Yorker, the Los Angeles Times, the Minneapolis Star-Tribune, the Cleveland Plain Dealer; and, in England, The Times, the Guardian, and elsewhere. The book was praised on National Public Radio by Leonard Lopate and on Minnesota Public Radio by Kerri Miller, as well as on French television’s France24 Journal of Culture by Eve Jackson. 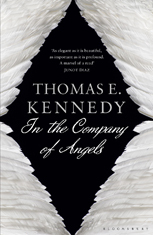 Bloomsbury published the paperback edition of In the Company of Angels in the U.S. in January 2011, and in the U.K. in June 2011. 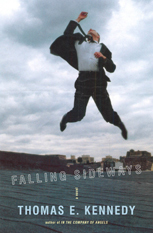 Bloomsbury published the second volume of the Quartet – Falling Sideways, a satire about a downsizing Danish firm – in hardback in March 2011, and in paperback in September 2011. 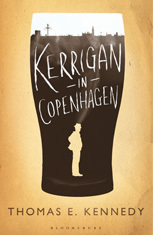 On June 11, 2013, Bloomsbury published the hardback of the third novel, Kerrigan in Copenhagen, A Love Story, a novel disguised as a guide to the serving houses of the Danish capital, with each chapter taking place in a different pub. 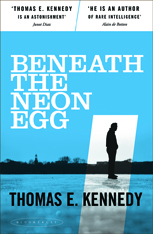 Blooomsbury published the last volume of the Quartet, Beneath the Neon Egg, a noir novel set in the dark of Copenhagen winter and imitating the structure of John Coltrane’s jazz symphony A Love Supreme, in hardcover in the U.S. on Aug. 5, 2014, and in trade paperback in the U.K. on Nov. 6, 2014. 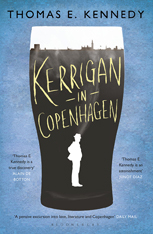 At present, Kennedy is focusing on personal essays and translations from the Danish, particularly of the Danish cult beat poet Dan Turèll and the highly respected Henrik Nordbrandt; the essays and translations appear regularly in such journals as Epoch, New Letters, The Literary Review, Serving House Journal, Absinthe: New European Writing, and elsewhere. 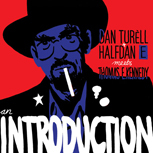 A CD, Dan Turèll + Halfdan E meets Thomas E. Kennedy: An Introduction (plantsounds.net), contains Kennedy's reading of his translations of Dan Turèll's poems, with music by the Danish award-winning film and TV soundtrack composer Halfdan E, who is internationally acclaimed for his music in all three seasons of Borgen. In 2013, New American Press published Kennedy’s Getting Lucky: 20 New & Selected Stories, 1982-2012. 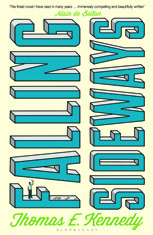 In September 2012, the title novella of that collection, “Getting Lucky,” appeared in the South Carolina Review. Kennedy has lived in Denmark for more than thirty years, but often visits the United States where he teaches fiction and creative nonfiction in the low-residency MFA in Creative Writing, at Fairleigh Dickinson University (mfa.fdu.edu). He is on frequent reading tours throughout the country as well.